Get inspired by this simple Summer casual outfit. 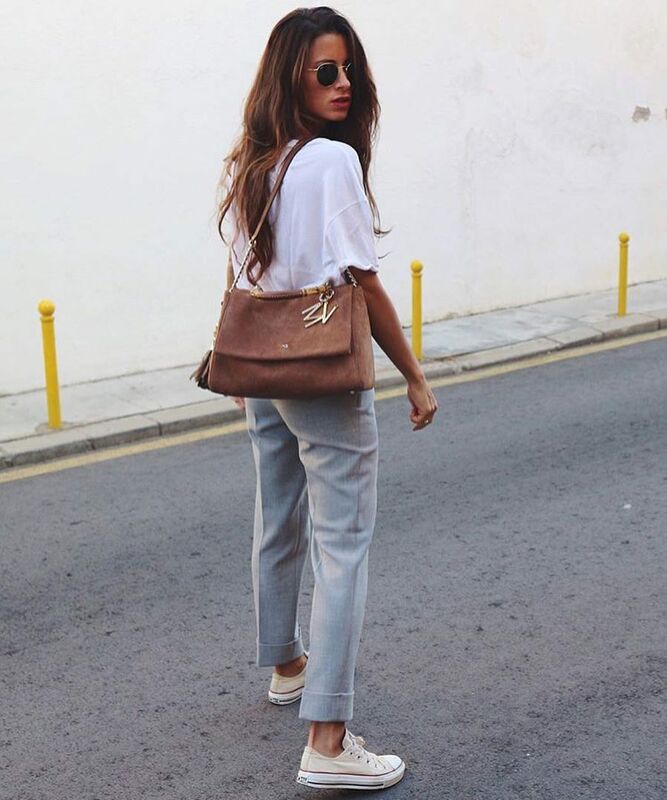 We see an oversized T-shirt in white tucked in tailored light grey pants. The combo is completed with rounded sunglasses and white trainers.